Mobile World Conference 2015 has happened in Barcelona from March 2nd to 5th.We expected lots of new mobiles, Smartwatches and other gadgets to be launched at MWC 2015.Many Flagship mobiles of giant Smartphone company has launched this year.Here is the list of Mobiles launched at MWC 2015. The another flagship HTC M9 has unveiled in MWC 2015.The smartphone looks similar to M8 with two-tone color scheme. HTc One M9 comes with 5-inch full HD super-LCD 3 1920×1080 pixels display.The phone is powered by 2GHz Snapdragon 810 octa-core SoC and 3GB of RAM.It 32GB internal storage with microSD card Support.It 20-megapixel rear camera and a 4-Ultrapixel selfie snapper. On the software, it runs on Android 5.0 Lollipop, wrapped under Sense 7 UI. The Samsung Galaxy S6 is very premium and have very good specification too.It features a 5.1-QHD (1920×1080 pixels) display, Exynos 7420 octa-core processor and 3GB of RAM.It has 32/64/128GB internal storage and 16 MegaPixel rear camera and a 5mp front camera. On the software front, it runs on Android 5.0 Lollipop with TouchWiz UI on top. Samsung Galaxy S6 is featured with new curved display on both sides, the curved display acts as a notification tray.As for the design, the body comes with Corning Gorilla Glass 4 and metal. Lenovo unveiled a new smartphone in A series named A7000.It featured with 5.5-inch HD 1280×720 pixels IPS display, 1.5GHz MediaTek MT6752m octa-core SoC, 2GB of RAM, and 8GB internal storage with microSD card slot.It had 8 MP rear camera and a 5 MP selfie camera.The Lenovo A7000 has 2,900mAh battery with 4G LTE support.It runs on Android Lollipop 5.0 and It has Dolby Atmos sound technology for best sound experience. Sony launched a mid-range smartphone named as Xperia M4 Aqua with IP65/IP68 certification which makes Smartphone dust and water resistant.The phone comes with 5-inch 720p HD display, Snapdragon 615 octa-core SoC, 2GB of RAM. It has 16GB of internal storage and can be expandable with miscroSD card.The Sony Xperia M4 is packed with 13-megapixel rear camera and a 5-megapixel selfie camera.It has 2,400 mAh battery and the handset runs on Android Lollipop. Lenovo also unveiled a smartphone designed to look like a camera named as Lenovo Vibe Shot.It featured with 16-megapixel rear camera with a dedicated shutter button on the right bottom edge, and an 8-megapixel selfie camera.Lenovo Vibe Shot has 5-inch full HD display, Snapdragon SoC, 32GB of storage (expandable up to 128GB), and it runs on Android Lollipop. This new Android Smartphone from Gionee comes with the 5,7 inch HD Display with 1080×1920 pixels resolution.The display is protected by Corning Gorilla Glass 3 on the top.The Gionee Elife S7 is powered by 1.7 GHz MediaTek 64 bit Octa core aided by 2GB of RAM.It has 13 MP rear camera with LED Flash and 8MP front facing camera.The camera’s image sensor and software are provided by Sony. The company unveiled an improved version named as X5Max+with 2300 Mah battery to survive the entire day.The smartphone features a 5.5-inch full HD AMOLED display, 1.7GHz MediaTek MT6752 octa-core processor, Mali-T760MP2 GPU, 2GB of RAM, and 16GB internal storage and can expandable through microSD card. Also included is a 13-megapixel rear camera, 5-megapixel front-facing camera, and on the software front, it runs on Android 4.4.4 KitKat under Fun touch OS2.0 UI. Blackberry unveiled a new Smartphone named as LEAP.It featured with 5-inch HD 1280×720 pixels display, 1.5GHz Snapdragon S4 Plus quad-core processor, 2GB of RAM, and 16GB internal storage and expandable using a microSD card.It has 8-megapixel rear camera, 2-megapixel selfie camera and 2,800mAh battery.Some of the connectivity options are LTE support, Wi-Fi, and Bluetooth and runs on BlackBerry 10.3.1 OS. 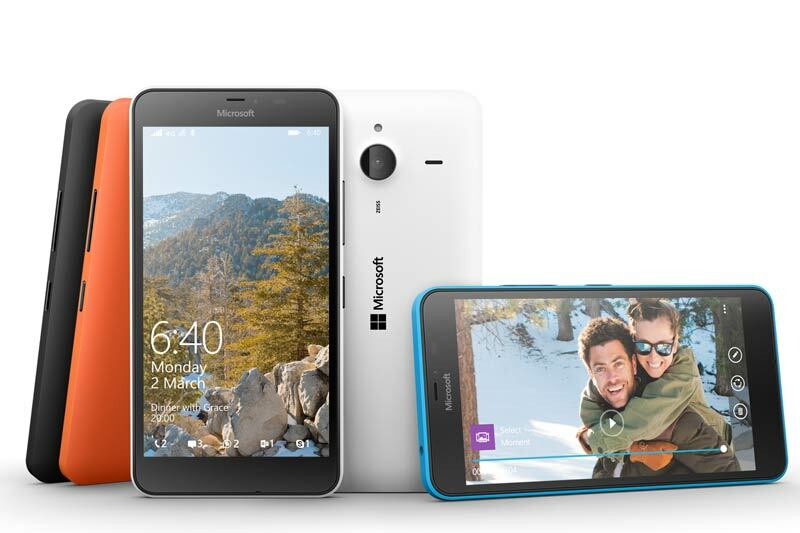 Microsoft too unveiled two Lumia smartphones named as Lumia 640. It features a 5-inch HD 1280×720 pixels display, Snapdragon 400 processor, 1GB RAM and 8GB of internal storage and expandable using a microSD card. It also has 8.7-megapixel rear camera,0.9-megapixel front-facing camera, dual-SIM card slots, LTE, NFC, and on the software front, it runs on Windows Phone 8.1 upgradable to Windows 10. Along with the Lumia 640, Microsoft released Lumia 640XL. It featured with 5.7 inch HD 1280×720 pixels display, 1.2GHz Snapdragon quad-core SoC, 1GB RAM, and 8GB of internal storage and expandable via microSD card. Also included are 13-megapixel autofocus camera, 5-megapixel front-facing camera, 3,000mAh battery, LTE support, and on the software front, it runs on Windows Phone 8.1 upgradable to Windows 10. The ZTE Grand S3 has no competition. It is the only smartphone unveiled that features an iris scanner.ie: you can unlock it by glancing at the handset. It featured with 5.5-inch 1080p display, 2.5GHz quad-core processor, 3GB RAM, and 16GB of internal memory, which is expandable to up to 64GB via microSD card. Also included are 16-megapixel rear camera, 8-megapixel snapper up front, and a 3,100mAh battery. On the software front, it runs on Android 4.4 KitKat. It features 5.5-inch full HD IPS display, Snapdragon 615 octa-core processor, 2GB of RAM and 16/32GB internal storage. Also included is a 13-megapixel rear camera, 8-megapixel front-facing camera, and a 2,910mAh battery.